I’m Janet Langsam, CEO of ArtsWestchester, and I hope you enjoy reading a little this and that about Westchester’s cultural scene. This week, the Westchester County Board of Legislators took a series of non-partisan actions to keep Westchester thriving, by recognizing the importance of the work of the not for profit sector. Democrats and Republicans worked together to restore vital funding for many organizations which support the safety net and quality of life in this county. One of those actions added back to the county’s budget $325,000 for ArtsWestchester and $100,000 for the Hudson River Museum. These funds, if preserved in the final budget, will keep the arts thriving in Westchester by maintaining support of cultural organizations in every part of the county. This county funding supports the many organizations listed below, all of which help make Westchester the wonderful place it is to live. It has been shown that the arts have a $156 million impact to the county’s economy returning $23 million to state and local government through sales and income taxes. It has also been shown that the arts have the power to changes lives, to educate, to heal and to revitalize communities. 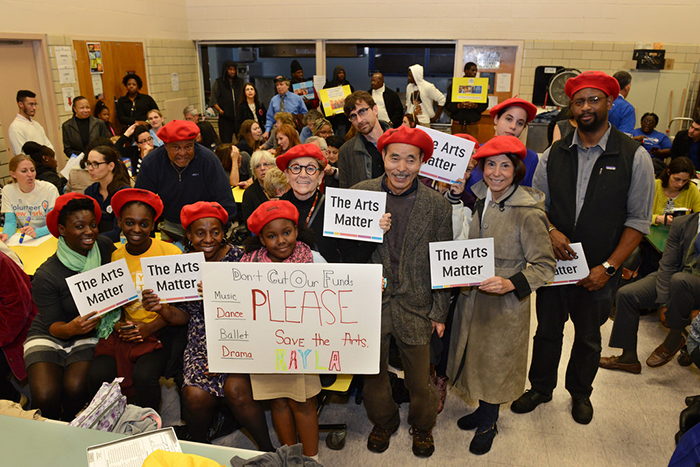 We thank the board for its actions and urge them and the County Executive to find a way to keep Westchester and the arts thriving. Get This and That by JL delivered to your inbox. You can also read these posts on Page 2 of ArtsWNews, ArtsWestchester's monthly newspaper. Read it online here. Stay Up-To-Date with the latest cultural events throughout Westchester by subscribing to Arts(e)News or visiting our on-line event calendar. © 2019 This and That by JL. All Rights Reserved.